When it comes to chilling out on the hottest of Summer days, there is nothing that I enjoy more than sitting outside with friends and enjoying a few ice cold, frothy bevvies. However, whether you’re trying to get your body ready for the beach, a special occasion or simply trying to lose weight this isn’t always the best thing for you. My ice cold beverage of choice, Cider, contains around 210 calories per pint which is about the same as my favourite Original Glazed Krispy Kreme Donut! In a former life I wouldn’t think twice about having a lazy afternoon in the sun with a few pints, but now I actually do pause to think about what I’m putting into my body. After all I wouldn’t sit and eat several donuts in a row would I? 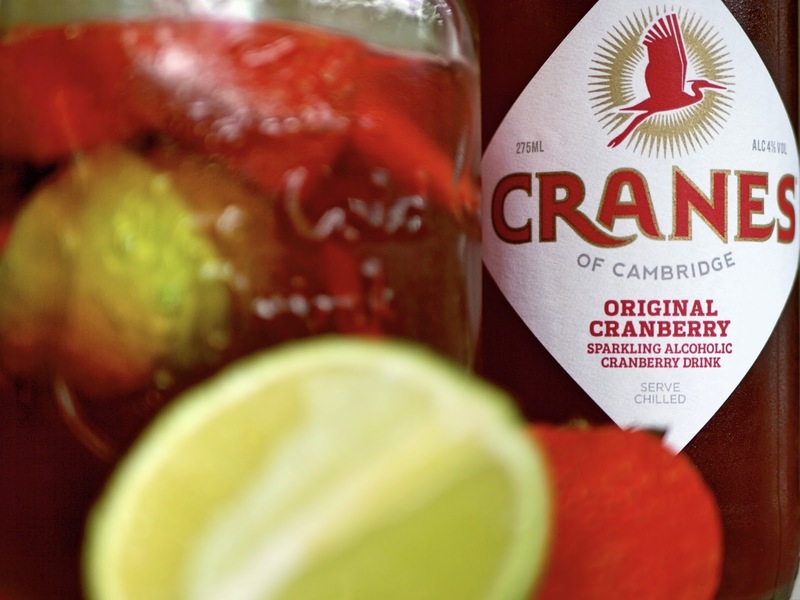 A few weekends ago I was introduced to Cranes, a premium Cranberry Cider lovingly created by twin brothers Dan & Ben in Cambridgeshire. 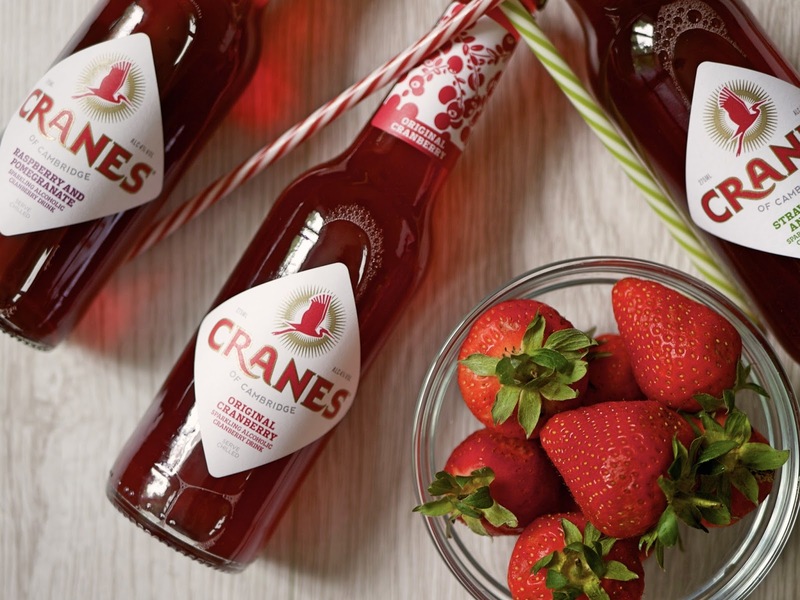 Cranes is pretty unique in a few ways; it’s the world’s first Cranberry Cider, it isn’t filled up with nasty chemicals to make it look pretty or taste sweeter and it is ‘lightly sparkling’ as opposed to being frothy. So do I like Cranes? Is the Queen English? Of course I do! 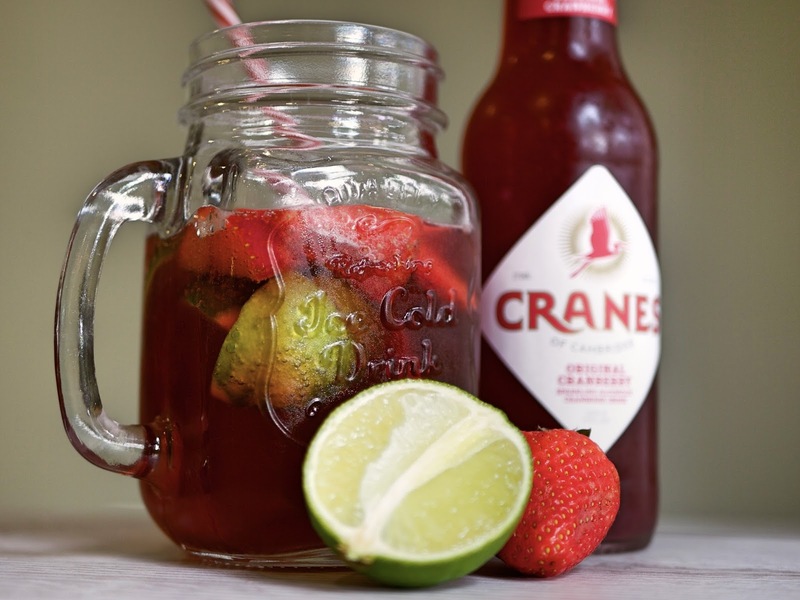 Cranes isn’t overly sweet, yet sweet enough to satisfy my sugar cravings and because it is lightly sparkling as opposed to being pumped full of gas to make it look all frothy and appealing it doesn’t leave me feeling like a whale either! 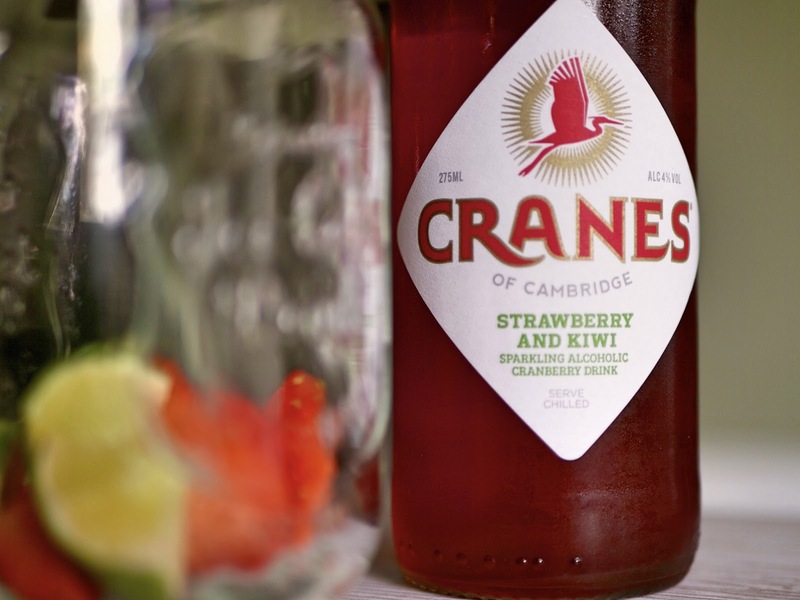 You can get Cranes in three refreshing flavours; Original Cranberry, Raspberry & Kiwi and Strawberry & Lime. My favourite? 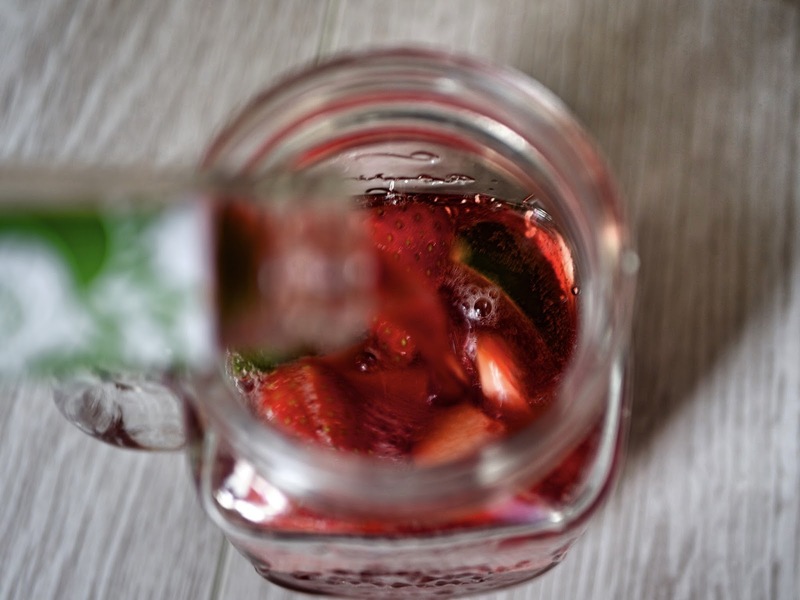 Strawberry & Lime of course, poured over ice (or even better over frozen Strawberries) and garnished with a wedge of fresh Lime. If you’re looking for something a little lighter, I would highly recommend giving this a go and I’d like to say a big thanks to the guys at Cranes for sending me a few bottles to try. It couldn’t have landed on a better weekend!